National Jeweler, a weekly trade publication, posted an article August 29 about “Gem Legacy”, a nonprofit trust set up by jewelry professionals to support education and vocational training in the local economies of East Africa. The countries of this region are major sources of colored gemstones and diamonds, yet many of those persons who mine these natural treasures live in poverty. Roger Dery, his wife Ginger and daughter Rachel, of Roger Dery Gem Design, have established Gem Legacy to help the people in these communities develop the skills needed for a better life. Various programs include primary schools, gemological education and gem faceting training. Jobs that used to go to cutting centers in Europe and Asia are now becoming available to the people of Kenya, Tanzania and Mozambique. 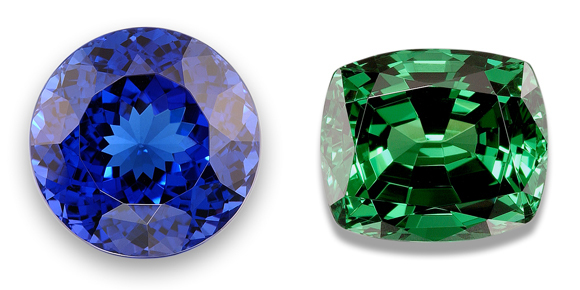 It’s a reminder that the beautiful Tanzanites, Tsavorites and Sapphires we love so much don’t just appear like magic. They come to us thru a complicated supply chain that involves the skills and efforts of many human beings. Their traditional value, based on their beauty, durability, and rarity, is also enhanced by the jobs they create. There are many steps involved in the supply chain that brings gems from the mine to the final consumers. Each step means a job for someone. Here is what we might see with the Tanzanites and Tsavorites of East Africa. Miners tunnel into gem bearing ore. Methods range from pick and shovel to explosives and jack hammers. Sorters clean gem ore to find and prepare gem crystals for first sale. Rough buyers and miners sell sorted rough crystals to cutters. Cutters re-sort rough, then shape, cut and polish gems. Graders examine and sort finished gems. Gem dealers sell finished gems to large supplier firms as well as individual buyers. Suppliers sell to manufacturing jewelers, retail jewelers, and individuals. Manufacturing jewelers make the jewelry- big firms have specialists for each step in making jewelry. Retail jewelers sell the jewelry to consumers. As members of the American Gem Society (AGS) and the American Gem Trade Association (AGTA), Mardon Jewelers is committed to transparency about the gems and materials we use in our jewelry. We support efforts like Gem Legacy to improve the lives of the people in the countries of origin. The trust accepts contributions from concerned individuals and organizations. If you’re interested in learning more about the Derys’ nonprofit or would like to donate, visit GemLegacy.com. This entry was posted on Wednesday, October 24th, 2018 at 10:23 am	and is filed under Gem Industry News, Gemstones, Jewelry Facts. You can follow any responses to this entry through the RSS 2.0 feed. Both comments and pings are currently closed.